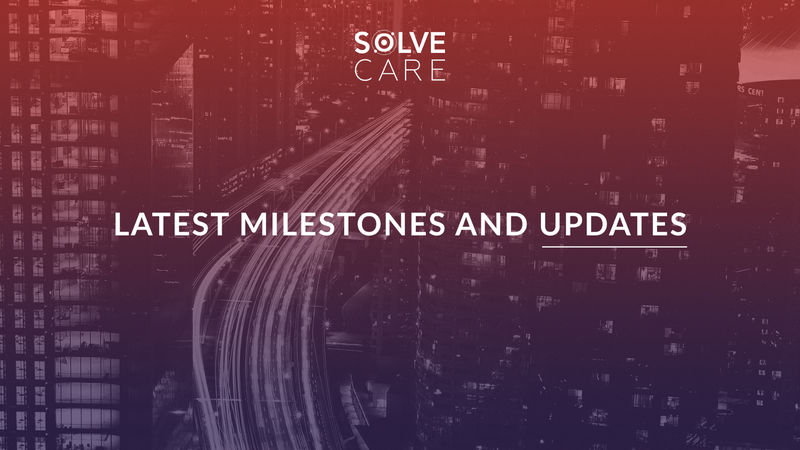 Since the beginning of the year 2019, Solve.Care has been going strong following the plan for global expansion. The recent milestones we’ve passed and the goals we’ve achieved has allowed us to gain a firm foothold on the global healthcare on blockchain market. The Availability of Solve.Care’s native token SOLVE on the various platforms gave us the opportunity to expand the availability of Solve.Care’s ecosystem, enable people across the globe to use Care.Wallets and Care.Cards for themselves and their loved ones. SOLVE token can be found on Bittrex, Upbit and Kucoin trading platforms. The token provides access for healthcare services to the Care.Wallet users around the world. Wallet holders can utilize the SOLVE token in the Care.Wallet to access specific Care.Cards for their needs. Solve.Care meticulously follows the unlock schedule for token holders. The next unlock will happen on February 16. The latest stats about SOLVE token you can find on CoinMarketCap. Solve.Care is preparing the update for Care.Wallet for Physician used inside one of the largest accountable care organizations in the US, Arizona Care Network. The new release will contain the updated version of Provider Rewards Program. ACN wants to reward its providers for quality care delivery thus motivating them to work better and increase the overall bar of the healthcare delivery. At the end of each month, providers will receive cards with the performance results. Providers will be able to see their own performance, their medical center performance, and the overall performance in the Arizona Care Network. Solve.Care has also updated Care.Wallet for Family application, compliant with GDPR and HIPAA regulations and available for download from App Store and Google Play in over 80 countries. During the first month of 2019, Solve.Care attended numerous business meetings in Hong Kong, South Korea, and Japan and spoken with insurers, business partners, and blockchain companies interested in the solution that Solve.Care offers. Having met a variety of clients, the use cases they see being developed on our platform are staggering in terms of the amount of costs and waste we can eliminate from healthcare systems in Asia. We have launched an Asia expansion strategy, and we are methodically bringing our platform there. With the growing popularity of Solve.Care platform, more and more people join our community daily. As of today, we have over 27,000 of members in our official Telegram group and over 11,000 followers on Twitter. For the new audience, our CEO Pradeep Goel hosted two live webinars explaining Solve.Care platform, its mission and the components we are developing, the future goals for the company we strive to achieve. The webinars were met with a massive interest and wide success from the community, so for everyone who missed the live streams — enjoy the recap of the webinars in our special Youtube playlist. In January, Pradeep Goel has presented the company’s use cases at Healthtech O2O conference in Hong Kong and during a Fireside Chat “Future of Healthcare” at The Connected City Conference 2019 in Hong Kong. On February 11, Solve.Care CEO Pradeep Goel participated at the “From Pilot to Process — Implementing Blockchain into the Episode of Care” panel during HIMSS Global Conference & Exhibition 2019. The panel showcased Solve.Care as one of the brightest examples of blockchain utilization inside the healthcare platform built to bring efficiency and transparency to the industry. The HIMSS19 conference gathers the leaders of healthcare information and technology spheres to talk about the powerful insights of the industry in front of 45,000+ attendees. In 2019, Solve.Care is gaining constant support and interest from media and influencers. The interview with Ivan on Tech went live today and sources like TheNews.Asia, The Bitcoin News, Blockchain Magazine, and Unblocked Events have already made their pieces about the cutting-edge solution of Solve.Care. Solve.Care Academy has opened its doors to young and talented specialists in order to give them the opportunity to practice their skills and potentially join the Solve.Care mission, “making healthcare simple for every man, woman, and child.” We are investing in the future of the company by investing in the future generations. Solve.Care Academy offers a two-month intense training on domain and technology that will help the young generation upgrade the necessary skills for working in a healthcare on blockchain industry. Course options offered by the Academy include React Native training, DevOps, UX design, Sales, and Business development, among others. Once the student concludes the program, with the provision that they successful complete their final exam, they are offered a full-time job at Solve.Care. The first students of Solve.Care Academy have graduated from the React Native course and 4 of them have passed the interview and started working as Junior React Native Developers. This year we hope to have dozens more graduates working in our company as analysts, testers, developers, designers, project managers and so on.